Fourth-generation North Carolina sweet potato grower Boyette Brothers Produce in Wilson, NC clearly knows a little something about growing sweet potatoes. Based on ever-increasing demand, the company just added its first-ever certified organic packing line. The move became necessary after organic sweet potato production grew more than 20 percent in a single year. Boyette Brothers acquired the certified organic designation for Covington sweet potatoes in 2012 and has maintained certified organic storage standards since 2013. But the company lacked an organic processing certification until 2017. ICS (International Certification Services, Inc.) granted the Certified Organic USDA National Organic Program designation. ICS inspects and determines whether farming facilities satisfy rigid federal regulations. Boyette Brothers’ operations manager Regan Boyette Dawson organized the organic certification process for the new packing line, and it now serves domestic and international buyers. “As we entered new markets in Europe, customers began requesting more organic product. We wanted to offer a premium pack that we can both be proud of and give the same attention to detail as our conventional packs,” Dawson says. Instead of outsourcing to an organic sweet potato pack house, Boyette Brothers chose to bring the production in-house. Boyette Brothers developed a way that allowed them to build and run their own organic packing line without the need for hiring and training new staff. Instead, a restructured packing schedule allows for dedicated weekly production of organic produce. Previously, all organic produce was transported to off-site pack houses. Now the consistency of product quality that Boyette Brothers applies to their conventionally-grown sweet potato products carries over to organic sweet potato processing. “Each of our customers have unique specifications, and we now have the ability to apply the same standards to all product lines.”, Dawson says. Customers can easily identify the organic produce by the ‘Sweet Supreme’ label and new packaging. Boyette Brothers’ new organic sweet potato packing line minimizes costs across all operations. In-house packing removes significant transportation costs, preserves product quality by preventing shifting in transit, and allows full control over storage conditions for an optimal final product. The cost savings and timing of the certification allow grocer buyers, restaurants, and other commercial accounts to tour the new certified organic packing facility before the prime fall harvest and buying season. For more information or to schedule a tour this fall, visit BoyetteBrothersProduce.com or call (252) 206-0737. 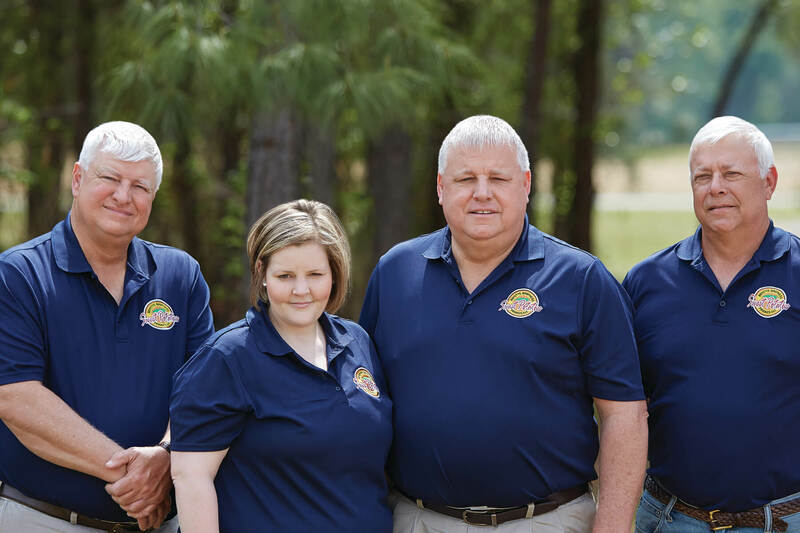 Family-run for four generations, Boyette Brothers supplies conventional and organic sweet potatoes nationally and exports to Europe and Canada. Maintaining relationships with supermarket buyers, restaurants, food service distributors, and other food service providers, Boyette Brothers offers variable packaging and private label options to help build and preserve their partners’ brands. The farm and packing facility follow sustainable farming practices and maintain several food certifications, including The NUTURE Standard, GLOBALG.A.P., HAACP Alliance and USDA Certified Organic.